Sometimes I wonder that if I knew what was ahead of me, would I have begun this journey? And I have to say, yes. 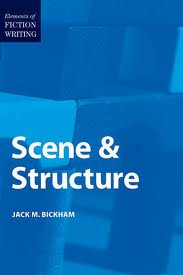 I’m in the middle of ‘Scene and Structure’ by Jack M. Bickham. Find the book here The man who wrote ‘Twister’ which was made into the movie. He’s also written tons of other adventure fiction and teaches the stuff too. So his opinion is interesting, especially after the issues my crit partner mentioned in my work and I’ve seen in other people’s writing. I got this purely on the recommendation of Kristen Lamb, find her here who says this book moved her fiction writing forward more than any other. One of the things Jack really deals with is the difference in reading work from a reader and writer point of view. It’s all in our approach to why we read. As authors everything is in our head. The reader relies on us to keep the world we bring them into ‘real’. This means we need to be incredibly careful with our action/reaction writing and we must have a clear goal for our protagonist. What is it she wants and how is she going to get it and what is stopping her from getting it. Sounds simple but as authors we complicate the issue. Take my work in progress for example. I got an R from an the editor who said it lacked story development and the theme would never be picked up by them or any of their lines but they would be interested in other work and please submit again. I had no idea what the hell she meant by that, other than the fact they didn’t want a book about cancer. Which stunned and annoyed me (people get cancer, this is the real world isn’t it?) until I read Jack’s book. Then I got it. I’ve had a Eureka moment which I want to share with you. As a writer I’d found the holy grail of the ‘goal’ and life changing moment for the character. I had her being angry with her dead mother, falling in love with a womanising workaholic (who falls in love with her after telling her he’d never marry or have children, duh!) Falling out with her brother for not being tested. Feeling hurt because of the treatment by her ex fiance. Christ, I threw the bloody book at the poor woman, but I never tackled the real issue which was her potentially short life span. Because I could not come up with a real and proper way to deal with it and give her a happy ever after – I bottled out. By chosing a potential life threatening illness I buggered the story. Unfortunately for me this was a goal that was not a goal and went nowhere. What was I going to do with it? How on earth could I write a romance about a woman with this issue and make it real for the reader with a happy ending? Bearing in mind, that once the reader realised what my story was about, she would know there could never possibly be a definate happy ending when what she was looking for was a few hours of entertainment. So now I know that the goal of my heroine’s happy ever after. i.e having it all even though her life had imploded was not realistic. I had given her a goal that was never, ever attainable, ie a HEA. It isn’t in the real world, so why I thought I could make it real in a romance I do not know! The other problem I see in the work of unpublished authors is the lack of the three step framework for writing fiction – Stimulus – Internalisation – Response. Sounds obvious doesn’t it? Something happens, the person thinks about it, and responds. If we omit a step then the logic of what is happening is lost to the reader. So what to do? I’ve discovered I understood something is missing in my work without knowing how to fix it – until now. Jack’s book has taken off my rose-tinted glasses and made me ‘see’ for the first time. I get it and I get what he’s saying. Now what I want to say to you guys is that this is not hard. Once we see the tiny changes we need (and they are small btw, not reams of ipov or narrative) then it will make our lives and that of our readers a lot easier. So am I going to dump my story? NO. But I am going to dump the cancer part of the story. 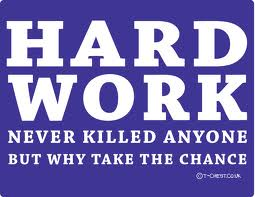 Both of my protagonists have the same goal and fight tooth and nail to reach it, eventually coming together to ‘win’. I love these two so much now. Christ, I’ve lived with them for months and months. The moral of the story children (are you still awake?) is to make the goal less and less attainable with every single scene that moves the story FORWARD. So yes our characters go backwards for the story to go forward. This makes perfect sense for me, does it for you? If you ever purchase one book on writing, it has to be this one because it’s made me take yet another step forward. The story is still not ready but it will be. And Cinitia, expect it by Thursday if not before!